These are the primary lifts athletes compete in - the bench press, squat and deadlift. The squat works virtually every muscle group in the body. But you shouldn't write it off as a mere quad builder - your glutes, hamstrings, abs and back muscles are all activated and improved by getting under the bar and squatting. If you've reached a plateau with your squat or just want to up the ante a little, some minor tweaks can spell big gains. 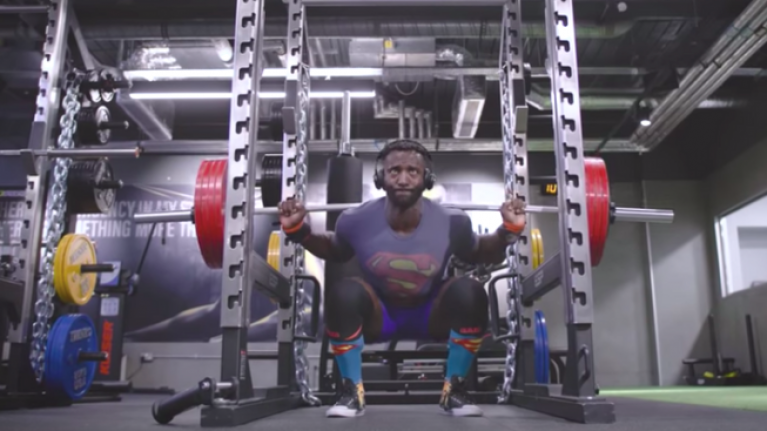 Hendrick Famutimi is a two-time British Powerlifting champion in the under-93 kilogram category. He put this video together to help you improve your squat. "Mobilise and rollout your hips, shoulders, ankles and feet before squatting. Strengthen your core and learn how to brace as a weak core can affect your squat numbers and mechanics. Grip the floor with your feet (creating a tripod effect), brace, drive your hips back and soften your knees while keeping your chest up for the squat. Visualise and practice this in your head and you'll get a better understanding of what each body part needs to do." The squat is not just a leg builder - the benefits are endless. Heavy squats make footballers faster, plus there is also evidence they boost your brain function too.